What if new was more of a state of mind than a date stamp. What if the opposite of new was not old, but instead boring. Would it make change, or the passing of time, any easier to embrace? Being new is one of the things I like best about horses. They never get boring, even the Grandfather Horse can be as new as this little one. Even now. It’s good to have to keep up. ← The New Year's Resolution that Matters. 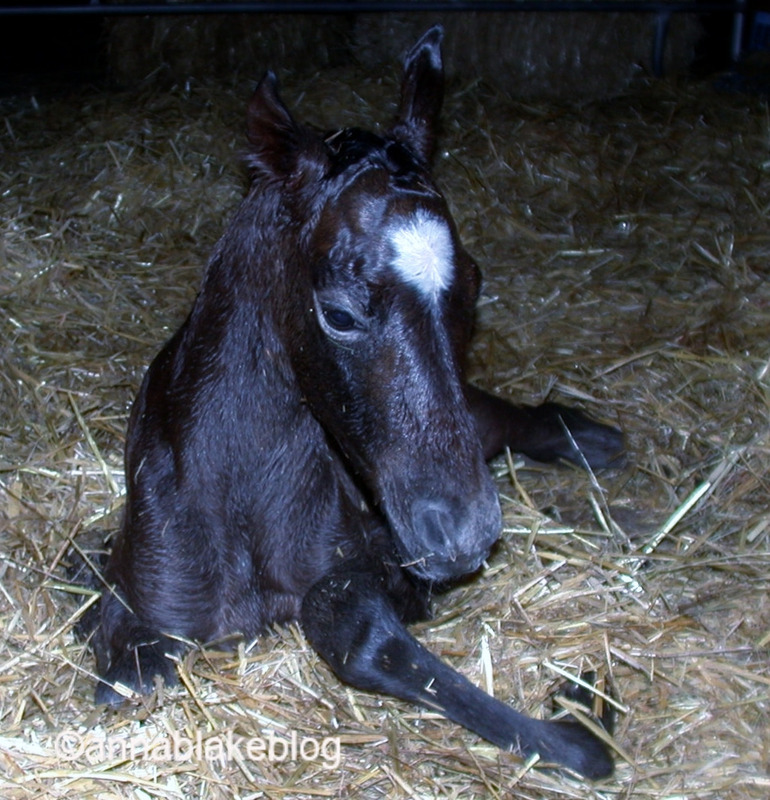 Is this a “new” foal? If so – not a very good time of year for the little guy (or gal). This does qualify as NEW! of urinary infection! Wont know till tomorrow – hopefully they can prescribe something for her. Having had a urinary infection years ago – I sure can sympathize. Hope you are staying warm – its 18 at this point here (NY). I have never had a dog with a urinary problem before – do appreciate the info. Still waiting for my vet to let me know what the lab says! Supposed to call me today. Didn’t realize that there was a cranberry supplement for canines! Certainly good to know. Thanks – will let you know what I find out. I love horses, no matter the age, but this one’s a real cutie! Thanks. She was less than an hour old. Adorable. Love when a new colt finds its legs and wobbles a bit before quickly becoming agile! The process of birth to agility has to come fast for a prey animal- so amazing to get to witness! Me too!